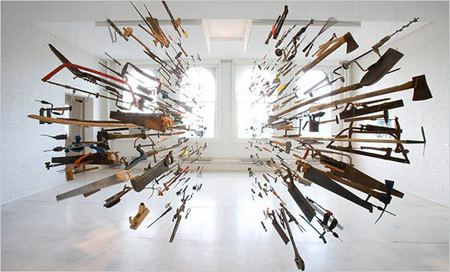 Damián Ortega’s Controller of the Universe, a series of found hand tools suspended in mid air, is a site of danger and otherworldliness. As if in mid explosion emanating from a center, it appears as though a force of nature has frozen them in time and space. 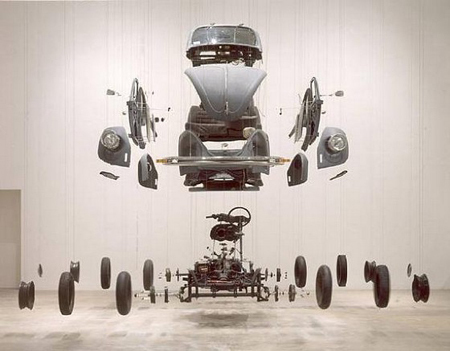 This entry was posted on donderdag, oktober 14th, 2010 at 00:56	and is filed under Archaeology, Cosmology, Taxonomy, Visual Arts. You can follow any responses to this entry through the RSS 2.0 feed. You can skip to the end and leave a response. Pinging is currently not allowed.